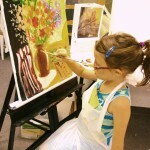 Oil Painting Ages 5 and up. Composition study, brush technique, color mixing and value. Water Color Ages 4 and up. 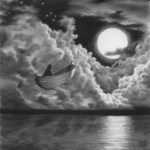 Learn the basic tools and techniques. 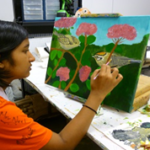 Students are encouraged to explore new methods, materials, and styles. 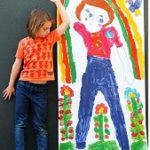 Oil Pastel Ages 4 and up. 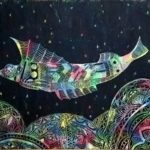 This hidden rainbow fish scratch art is a fun and mesmerizing art for kids! 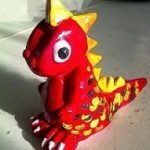 General Drawing/Craft Ages 3 and up. 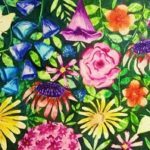 Acrylic Painting Ages 5 and up. 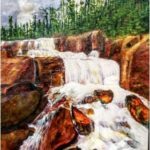 Learn acrylic painting techniques with a focus on using color, modeling form, and composition. Manga Ages 6 and up. 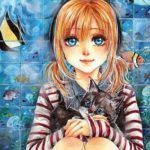 Learn the techniques of easy step-by-step instructions of how to draw Manga. Soft Pastel Ages 6 and up. Explore materials and methods that bring the most out of this vibrant medium. 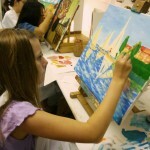 Fun classes for students for drawing using different mediums and making 3D crafts. 3D House and Store Age 4 and up. 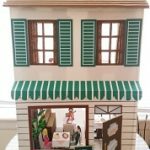 Build a two levels building where first floor is a store and upstairs is a living space with different furnishing and decoration. 3D Jurassic Park Age 3 and up. 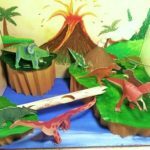 Go back in time with making exciting dinosaurs in jurassic animals. After positioning all the animals and volcano, you can enjoy your incredible prehistoric diorama. 3D Zoo Age 3 and up. 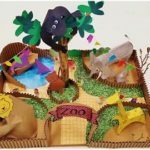 Zoo animal crafts to help remember your special family outing! Monkeys, giraffes, lions, elephants, seals and much more. 3D Future Underwater City Age 4 and up. 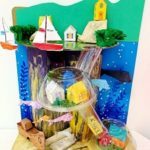 Build an imaginary future homes under water where you can make different kinds of fish, sunken ship, treasure chest, etc. Clay Ages 3 and up. work independently. Good for all ages. Life-size Self Portrait Ages 3 and up. 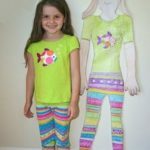 Making a self-portrait (full body tracing) is a beautiful way for kids to make self-portraits and it helps them explore how they see themselves. 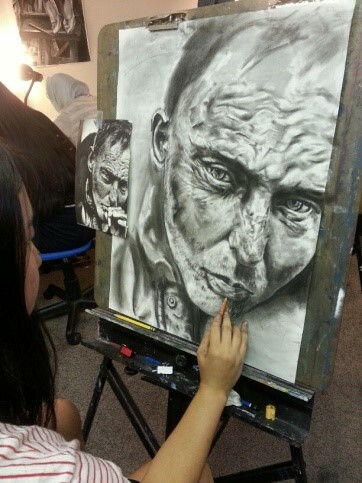 This realism class is for beginners who wants to get started or painters who want to stay involved in an upbeat class. 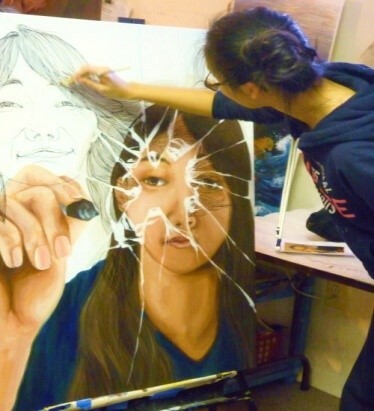 We will work on perspective, color, and form with instruction tailored to the students’ level or knowledge and skill. 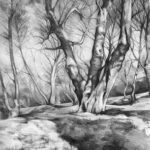 Learn how to accurately see shape and value, learn how to demonstrate an extraordinary attention to detail and draw in layers of black charcoal on white paper. 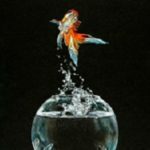 Create a realistic high relief acrylic painting using modeling paste. 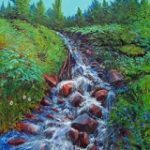 Learn sketching the basic nature scene with a waterfall as central element. Then put flexible modeling paste with paint knives. After couple more days of drying, then start painting details. 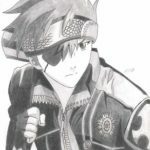 If you love anime & manga then of course you’d wanna draw it. 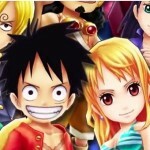 Manga is the comic book and anime is the actual animated content. For students looking to learn the style there is no major difference. Colored Pencils can be easily blended together in endless combinations to create even more shades, tints and hues. 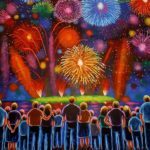 Colored pencil art can easily rival paintings in luminosity and depth of color! 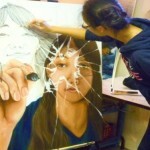 Students learn strong compositions explore elements of realism. 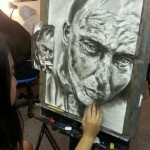 Student will create a wide ranging portfolio that displays his/her technical skill and individuality. Especially high school juniors who will be planning on complete their portfolio this summer of 2017. Studentw will talk to Mrs. Yun about class schedule and will review their portfolio first. Please call in for the class schedule and tuition: 703-961-9039.